A-Wax: Eiht is famously known for not only appearing in Menace II Society but having the most recognizable song from its soundtrack. Preemo and Eiht have already shot two videos for the project, and the album is completely mixed and mastered. It’s being released as a joint venture between Premier’s label, Year Round Records, and Eiht’s imprint, Blue Stamp Music. When Eiht began making music, he never imagined he’d be going on nationwide tours, selling countless albums or working with some of Hip Hop’s most coveted artists. In East Compton, where he spent his childhood, his only goal was to gain the respect of the homies on the block. Now, however, his name is often mentioned in the same breath as Eazy-E, N.W.A and Ice Cube. 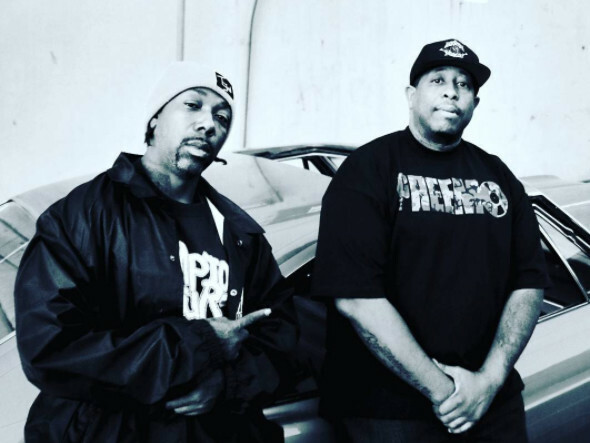 DJ Premier and Eiht are aiming to drop the new album mid-February with a goal of continuing the West Coast legacy of innovative, unforgettable music. If Pirus & Crips All Got Along: Eiht got put on the new generation’s radar back in 2012 thanks to his appearance on Kendrick Lamar’s landmark debut, good kid, m.A.A.d. city.